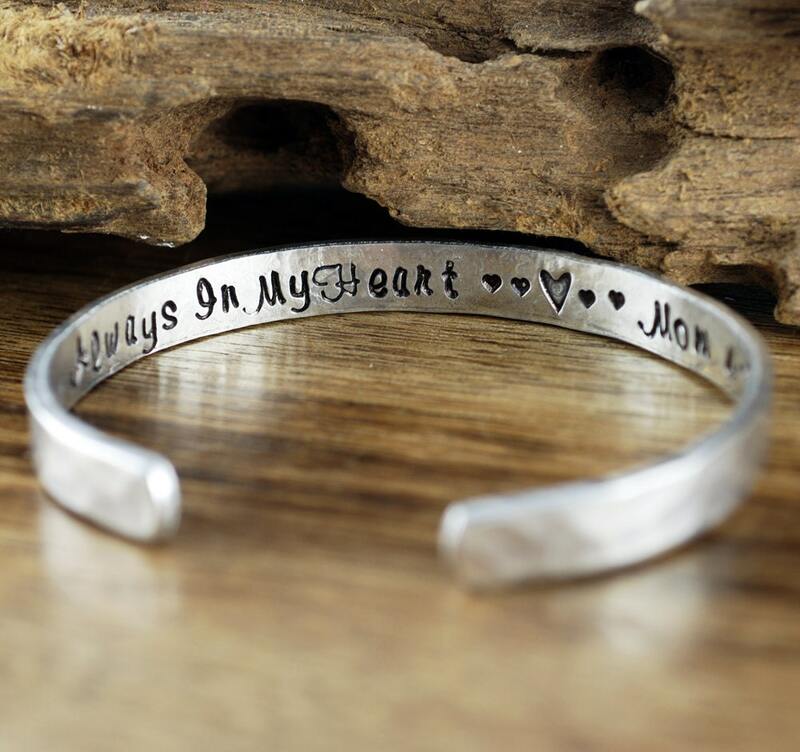 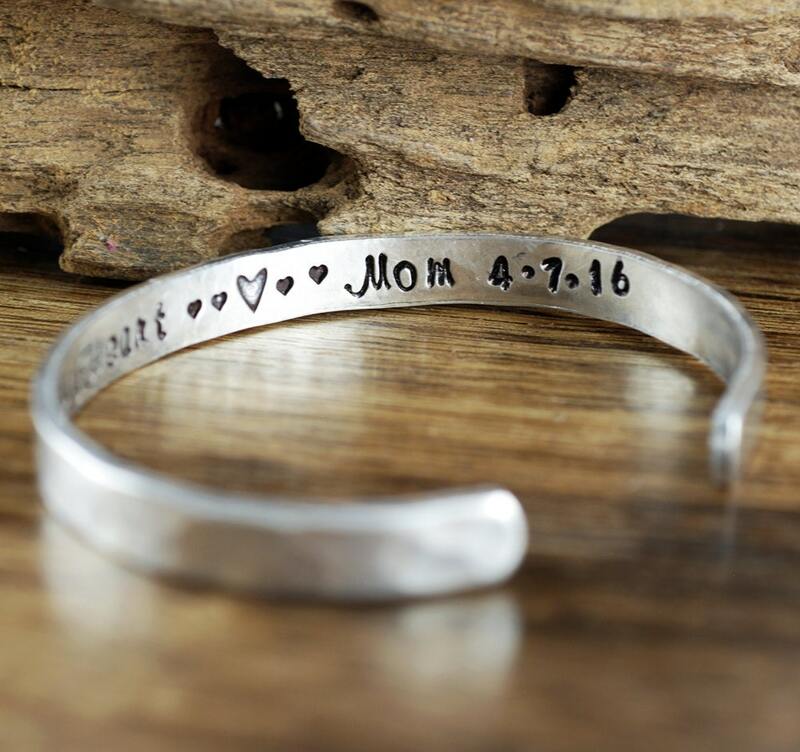 Customize the INSIDE of our cuff bracelets with your favorite word/s, meaningful phrase, special saying, names of loved ones, grandchildren, dates and even coordinates for the place you met your partner or shared a special moment with someone. 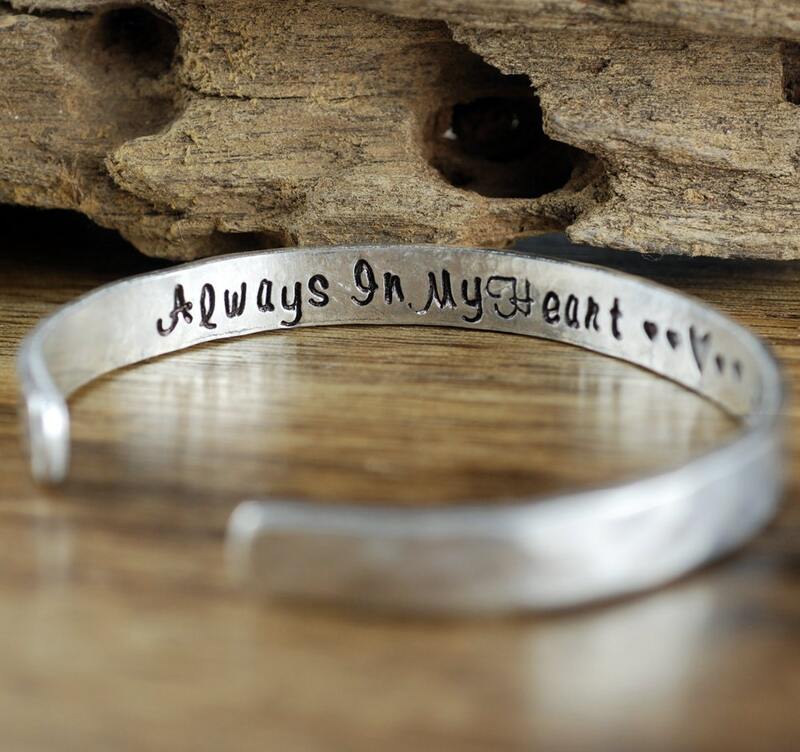 The Outside can be JUST hammered or Stamped with something Special. 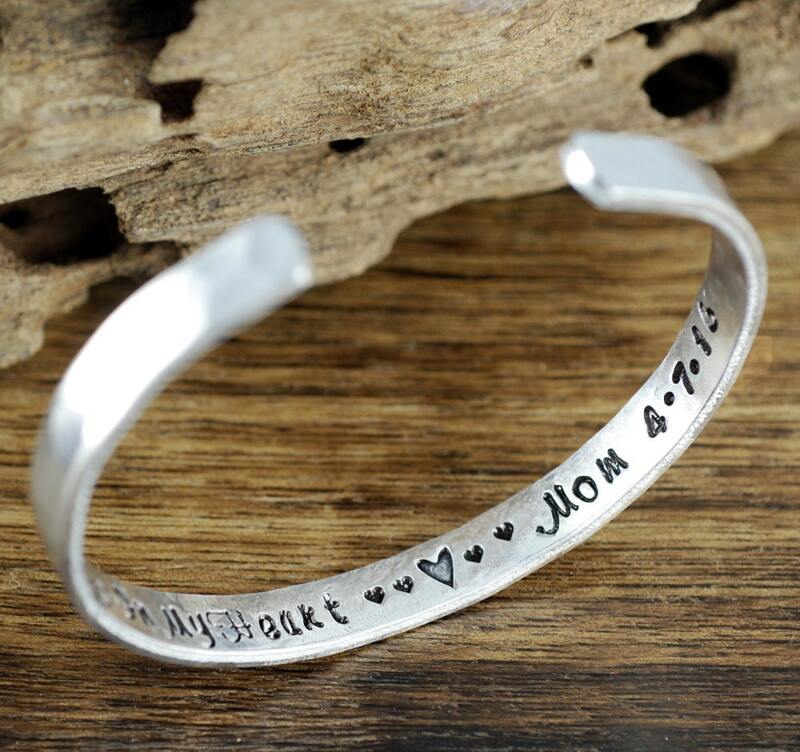 This bangle shown is Aluminum, Although the cuff comes in other metal colors. 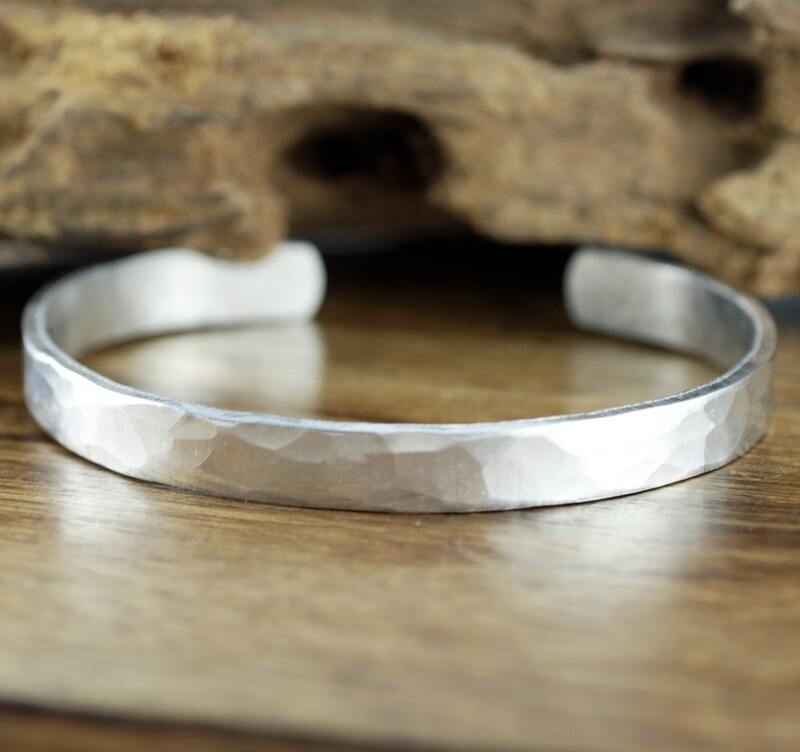 Bangles are adjustable to fit (mostly) any size wrist.